The Collider’s monthly movie night, presented by Oskar Blues Brewery and featuring films related to climate change and the environment, continues on Tuesday, March 28, at the nonprofit innovation center in downtown Asheville. Doors open at 6:30 p.m.; the program begins at 7 p.m. The event is free and open to the public (with a suggested donation). Popcorn and a selection of Oskar Blues beers will be provided. Episode 1: Collapse of the Oceans. In “Collapse of the Oceans” actor Josh Jackson travels to Australia and the Philippines to look at the impacts of climate change on our oceans. Episode 2: Priceless. In “The Sixth Extinction,” former “Daily Show” correspondent Aasif Mandvi sets off on a quest to understand just how much of a threat climate change poses to endangered species. In “Price on Carbon” actor Nikki Reed explores what some believe to be the ultimate solution for climate change: putting a price on carbon. “Oskar Blues Presents Movie Night at The Collider” is a family friendly event open to the public. 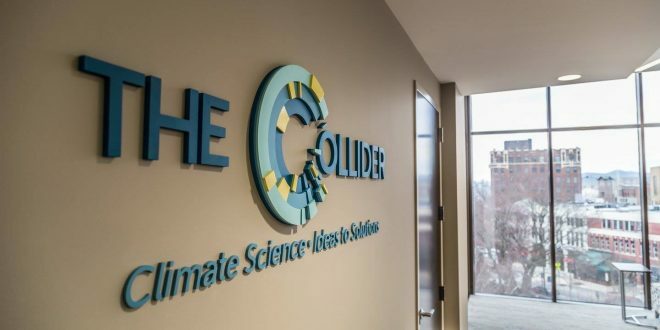 Located at 1 Haywood St., on the top floor of the Wells Fargo building in downtown Asheville at Pritchard Park, The Collider is an innovation center focused on catalyzing climate solutions. It is a registered 501(c)(3) nonprofit organization. Access to the building for evening events is through the glass door facing Patton Ave., around the corner from the ATM machine. 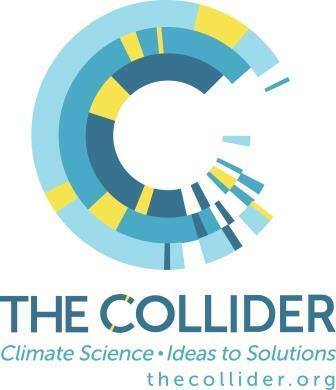 The Collider is a nonprofit innovation center focused on catalyzing market-driven climate solutions. Headquartered in the heart of “Climate City” – Asheville, North Carolina – and located on the top floor of the iconic Wells Fargo building in newly renovated space at 1 Haywood St., across from Pritchard Park, The Collider exists to bring together diverse expertise and stimulate a new industry: climate products and services. The Collider offers business, event, and cowork space in addition to providing memberships, education, internships, sponsorships, and public opportunities to “collide.” More info on The Collider is available at thecollider.org. Follow The Collider on Facebook, Twitter, and Instagram. Founded by Dale Katechis in 1997 in Lyons, Colorado, Oskar Blues Brewery launched the craft beer-in-a-can apocalypse with hand-canned, flagship brew Dale’s Pale Ale. Today, Oskar Blues is one of the fastest growing breweries in the country and operates breweries in Longmont, Colorado, Brevard,North Carolina, and Austin, Texas while producing 200,884 barrels in 2016. The original canned craft brewery continues to push innovation with the opening of its Austin, Texas brewery and creations like The Crowler and Hotbox Coffee Roasters. Oskar Blues is available in all 50 U.S. states, Washington, D.C., parts of Canada, Puerto Rico, Sweden, Spain, Chile, the Netherlands, Belgium, the U.K. and Australia.